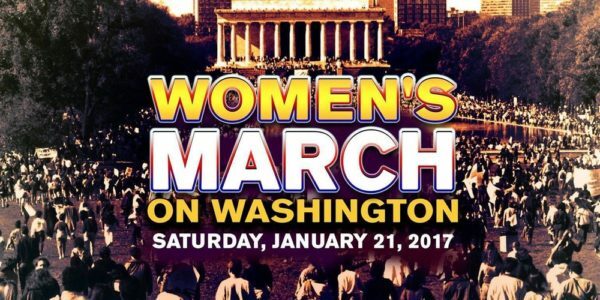 A number of Hollywood stars will join a women’s march on Washington on January 21, the day after Donald Trump’s inauguration as president. America Ferrera, who backed Democrat Hillary Clinton, is helping to organize the protest. Other actresses taking part include Amy Schumer, Scarlett Johansson, Frances McDormand and Zendaya. In a statement, America Ferrara said: “Since the election, so many fear that their voices will go unheard. Scarlett Johansson, who has criticized the Donald Trump’s incoming administration for “attacking” reproductive rights, said she was taking part to make her voice heard and “stand up for what I believe in”. The protest organizers say they expect more than 100,000 people to turn out for the march on January 21, the day after Donald Trump’s inauguration. Chelsea Handler will lead a sister march in Park City, Utah, one of more than 150 solidarity marches planned around the US and the world next Saturday. Other stars who have said they will take part in the Washington march include Uzo Aduba, Lea DeLaria and Diane Guerrero. According to organizers say a number of other celebrities will either participate in the march or express solidarity with the marchers in other ways. They include Katy Perry, Julianne Moore, Cher and Debra Messing. Not many Hollywood stars have said they will be attending Donald Trump’s inauguration on January 20. 2010 America’s Got Talent runner-up Jackie Evancho will perform the national anthem at the inauguration ceremony.